Sethu Restaurant Killorglin. Takeaway and Curry House in County Kerry. The Sethu is located on the Main Street in Killorglin, the heart of Kerry. 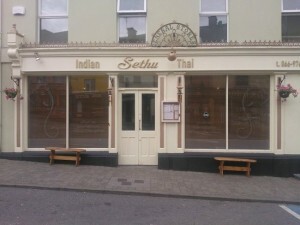 The Sethu offers a sophisticated experience that marries a unique contemporary style with traditional hospitality we are the top rated Indian Restaurant in Kerry. The Sethu offers food daily from 5pm till 10.15pm and is the perfect stop off for a snack or dinner. With Plenty of Parking on street or at the local car park. Our beautiful Restaurant seats up to 36 guests and can be booked on a private basis. If you are planning on having a wedding or civil ceremony in Church or anywhere else in Kerry, we will have the table for you. 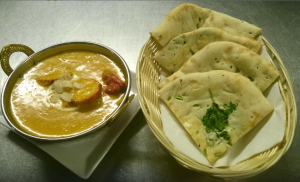 ‘‘Indian Cuisine’ from one of the best restaurants killorglin. Embark on a culinary journey at Sethu Restaurant Killorglin County Kerry. Tempt your palate with the most delicacies, prepared with the utmost care and passion. Rich and diverse, the Indian cuisine demands perfect understanding of spices and their melange for each delicacy. We take a lot of pride in the quality of our food. Here in Sethu Restaurant, we have handpicked some of the most popular and mouth watering Indian dishes for your dining pleasure. All Our dishes are prepared with the finest Indian spices with an intriguing blend and fresh locally sourced produces. 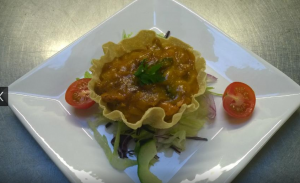 Our dishes will be prepared and cooked by our team of chefs with over 20 years of experiences in serving authentic Indian cuisines both in Ireland and in their native country. In addition our Head Chef have created signature Indian dishes which is unique to our restaurant only. At The Sethu’s Restarant, we not only believe in fulfilling the desire of taste but also of the soul. Our aim is, from the moment you enter our establishment until you leave, we want to ensure your delightment at every stage of your dining experience. It is our hope that you leave feeling satisfied and with a desire to keep coming back to SETHU’S. Kerry’s best Indian Curry House and Restaurant in Killorglin.